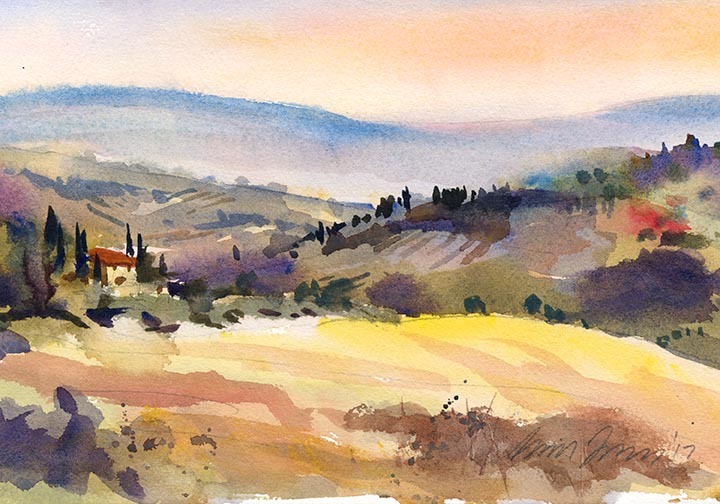 Plein air morning distant hillside view from the Spa Villasanpaolo Hotel, Tuscany. 7.5×11″ Fabriano Uno 140lb. cp. Just catching up on your Italy sketches Gil. They are spectacular!! Thanks, Shari so good to have you stop by!